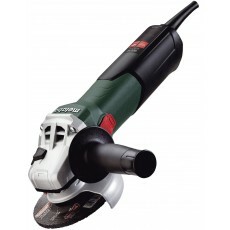 The most popular type of grinder is an angle grinder used for cutting or grinding metal & stone. More specialist tools in the grinder category used for specific applications include angle sanders, polishers, straight grinders, die grinders & bench grinders. Angle grinders have a wide variety of uses amongst, for example, engineers, stone masons, welders, bricklayers & scaffolders. The grinding disc is mounted on a head which sits at right angles to the motor's drive shaft. They are occasionally referred to as disc or side grinders. 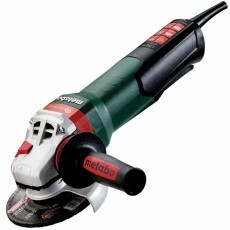 Cordless angle grinders are concentrated at the smaller disc diameter end of this range. 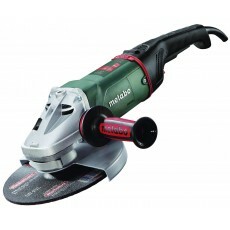 Angle sanders are used to sand down and finish metal & woodwork. Polishers finish & buff wood, stone & metal. Straight grinders de-burr machine worked metal & are often used in fabrication & foundry environments. They are sometimes known as off-hand fettling grinders. 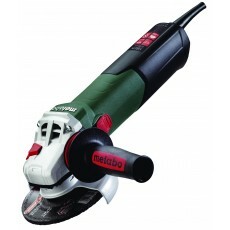 They tend to be used on larger surface areas than die grinders. Die grinders tend to have a higher rpm, compared straight grinders, to suit the smaller diameter wheels & mounted points. 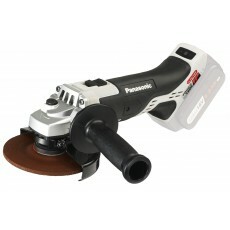 Die grinders are used by precision engineers for free hand shaping, sanding & polishing of metal & stone. Bench grinders grind, de-burr, sharpen, shape & polish metal & stone; they are often used in an engineering environment. As their name suggests, the material is brought to the work rather than the tool taken to the material as with other grinders. Please choose from the types of grinders on the left & then we'll help you better match your needs. If you have a brand preference or know the power source you need, please select that too.